We want you to be part of our awesome team and support the growth of the business. You will be joining the frontline of the accounts and tax department, quickly taking on your own portfolio of clients. We predominantly work with owner managed businesses and smaller limited companies. 9am to 5pm – Accounts, Tax, Business Development. 5pm to 9am – Boating, biking, surfing, kayaking, diving, running and adventure. 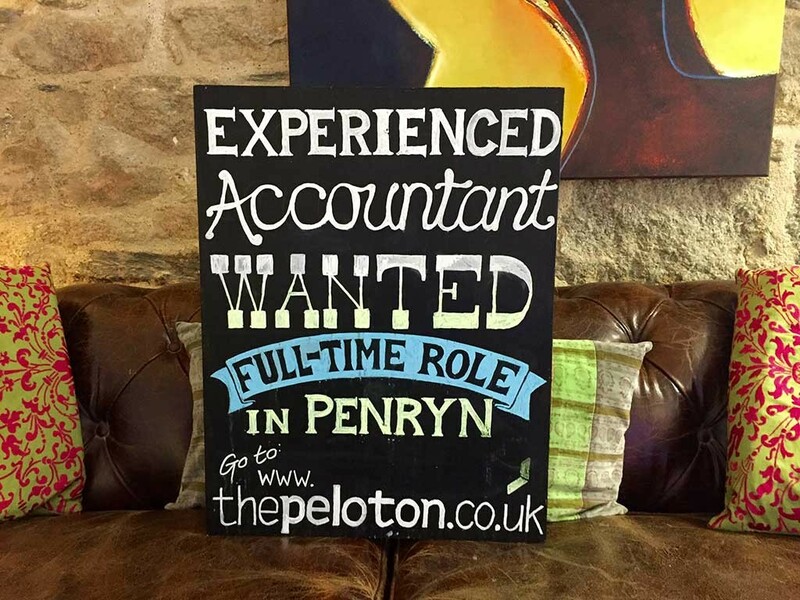 Please apply via email to hello@thepeloton.co.uk. Attach your CV and a covering note outlining why you feel you are right for the job. Please state in your letter where you first found this vacancy. For more information you can call us on 01326 66 00 22. Take the plunge, be different. We sit down together and eat a freshly cooked meal every day. Come and deliver your CV by hand at lunch time. You’ll get a firm handshake, a warm welcome and a hearty meal. What better way to see if you like how we work. Oh, and leave the suit and tie at home.